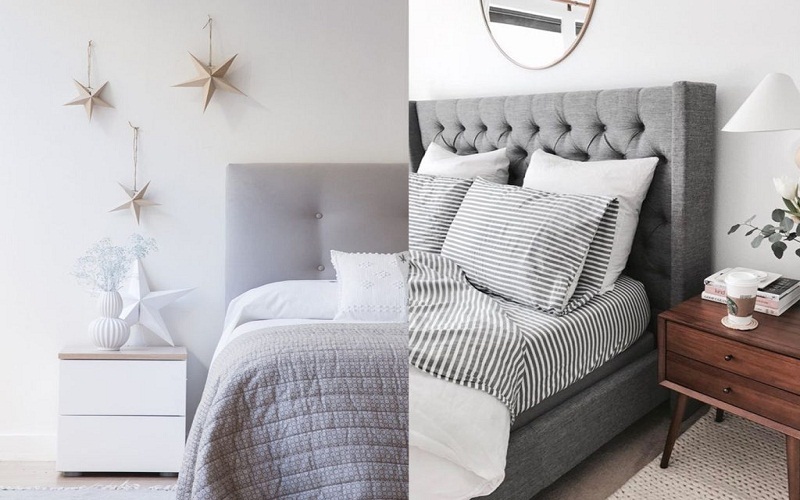 The upholstered headboards, besides being decorative, are very practical and have a price that makes them really suitable for all homes and pockets. Bet on them! Upholstered headboards are one of those trends that takes time between us but that is still topical. High, low, classic, in surprising colors … we can find them of all types and for all tastes. Besides being decorative they are very practical and have a price that makes them really suitable for all homes and pockets. They are much more comfortable than wooden headboards. When it comes to leaning on them to read or watch television. And they also have the function of protecting the wall in which they are placed. And of course they are a decorative element in our bedroom that allows us to create atmosphere without having to paint or spend on expensive decorations. 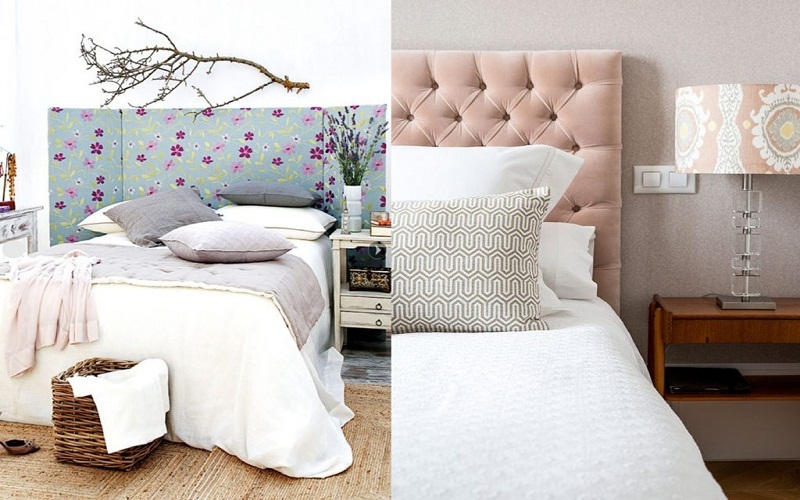 Do you aim to put an upholstered headboard in your home? Only headboard or full bed? The upholstered headboards have a layer of foam to give them that soft look. Which can be of different thicknesses and hardness, depending on our taste. That makes supporting us against them very comfortable. And if we are too close to the headboard while we sleep we will not suffer blows. Depending on the layer of foam they have. They will be more or less deep, which we must take into account when measuring. There are a wide variety of options in the market when choosing your upholstered headboard. From the simplest and lowest to the highest and most formal. Everything will depend on your taste, the style you want to put in your home and what you are willing to spend on it. But surely you find one that is perfect for you since there are countless fabrics, decorations, sizes and models to choose from. Its touch against our skin will always be much more pleasant than that of wood, melamine or plastic. The skin or leather can be a little cold at first but they are warming with our body temperature, so they end up being very nice. The upholstered headboards also serve to protect the wall in which they are located. In this way the wall will not suffer the annoying spots or chafing that can cause other types of headboards. There is the possibility of just placing the headboard or the most usual is that it is a complete structure that includes the headboard. Which is better? 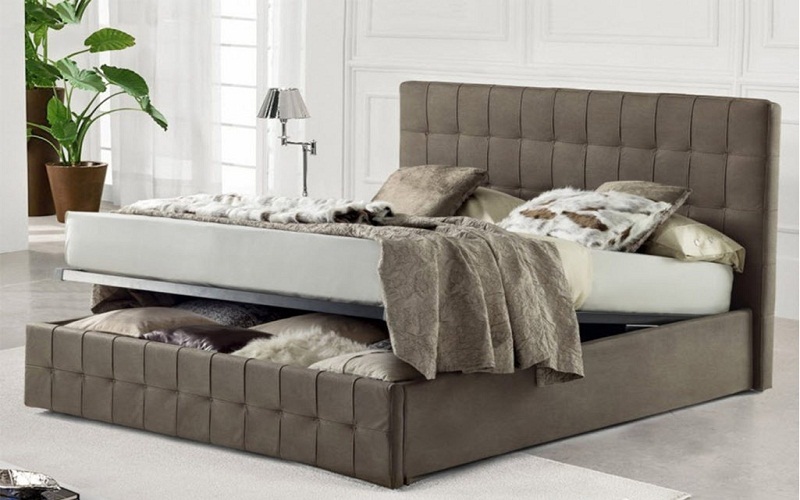 The full upholstered beds in many cases include canapes under the mattress which will give us an extra storage space that always comes in handy. And they also give a much more finished and solid look to our bedroom. 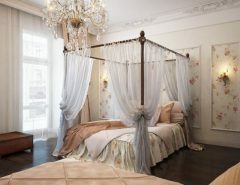 The headboards alone are anchored directly to the wall, without any structure, so they are fixed parts. Apart we must put us the bed base with legs or an independent bed structure. The advantage is that they are much lighter visually. The headboards take center stage in bedroom decoration and extend both high and wide occupying a preeminent place in the rooms. Especially when we talk about headboards for double beds. Its dimensions extend and become the reference of these spaces. It is a type of upholstery widely used in sofas and armchairs in English style that is characterized by being padded and have several buttons placed in an orderly manner. It is a very resistant type of headboard and can be made with different materials. The chester sofa is a classic sofa with this type of upholstery that you have surely seen many times. They will bring a more classic and timeless touch to your bedroom. Another idea that we like is to put an upholstered headboard with a colorful and cheerful fabric that becomes the center of our bedroom. The problem is that perhaps over time you get tired of it, so make sure before deciding on one that you loved and that you will enjoy it for a long time. But as a decorative element they are without a doubt fantastic. 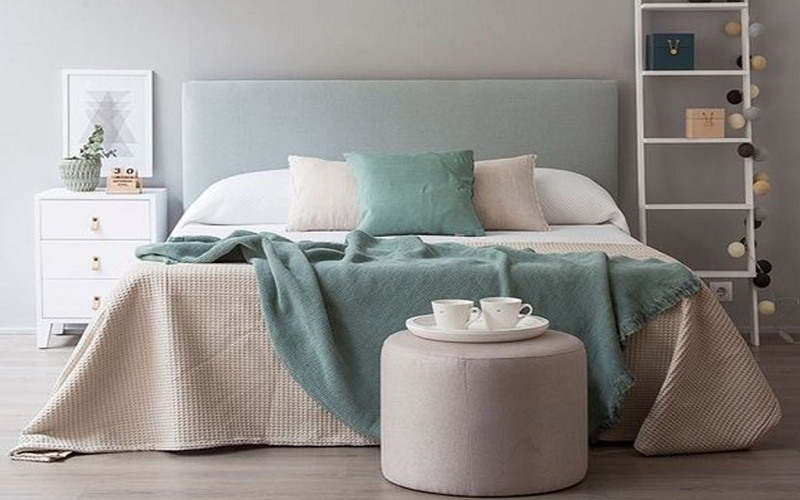 Another of the styles that we like the most is the modern headboards, straight, smooth with a nice fabric but at the same time they have a classic touch like a tacks finish. In this way it combines modernity and classicism in an upholstered headboard that will turn your room into a very special place. Sober and nothing overloaded but contributing much to any environment like this is a completely smooth upholstered headboard. You only need a pretty fabric, a color that makes you fall in love and you already have the perfect headboard if you’re more of a demure and timeless style. It will continue to provide the advantages of an upholstered headboard and you will not get tired of it easily, we love it! And which one do you prefer? It is difficult to choose because they are all pretty and they contribute something but surely you have your favorite. 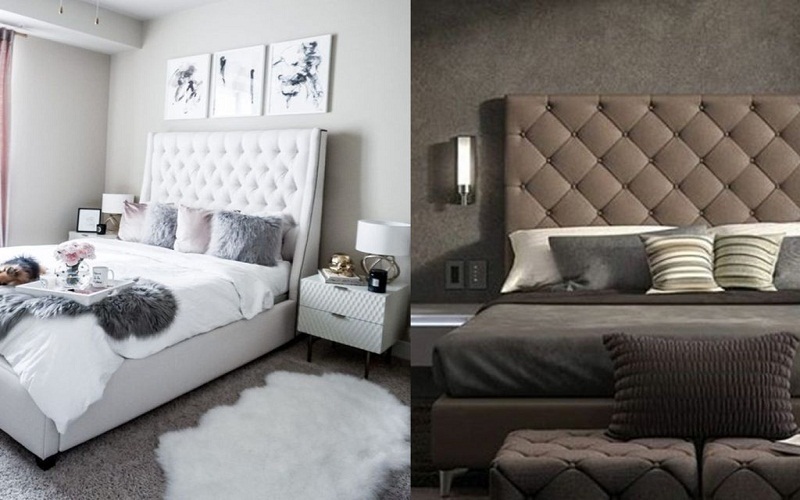 Do you dare to have an upholstered headboard or an upholstered bed at home? From own experience, when the tests you do not want to change them anymore because they are so comfortable and comfortable that they conquer you.